Leak-proof plastic Clean Go Pet Replacement Waste Bags are available in stylish, color-coordinated designs. 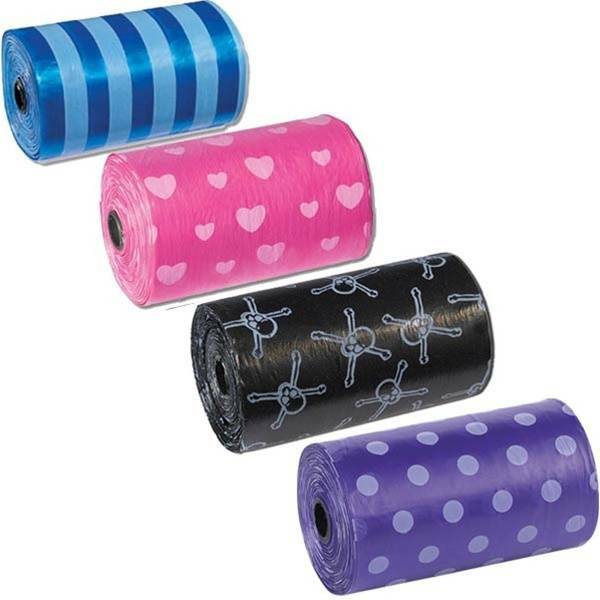 Leak-proof plastic Clean Go Pet Replacement Waste Bags are available in stylish, color-coordinated designs: Blue Stripes, Black Skulls, Pink Hearts, or Purple Polka Dots. Each package of Replacement Waste Bags contains three rolls with 20 perforated bags per roll.